Vertical Mega Menus can be aligned to the left or right hand side of the page. 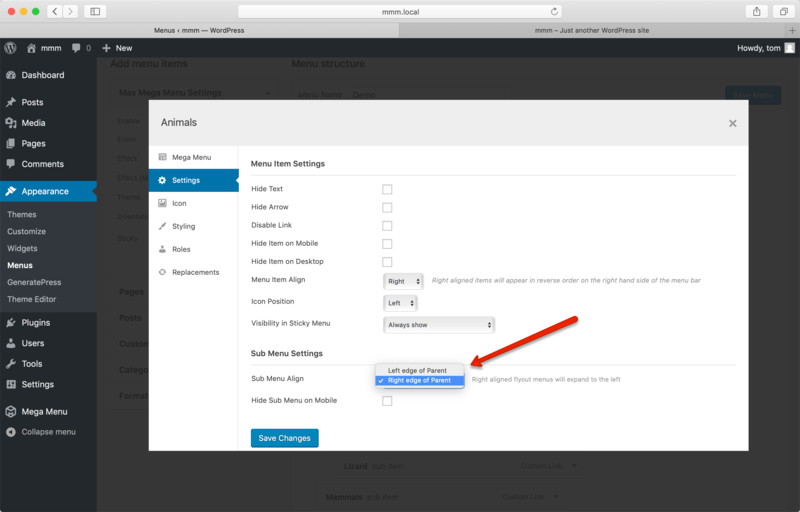 Use the Widget or Shortcode method to add a new menu to your site. Vertical Menus are set up in exactly the same way as a standard horizontal menu and support all of the same features. By default the sub menus will fly out to the left hand side of the menu. To make them fly out to the right of the menu, go to Appearance > Menus. Hover over a top level menu item and click the blue 'Mega Menu' button to open the settings panel. Set the 'Sub Menu align'option to "Right". Repeat this step for all top level menu items.